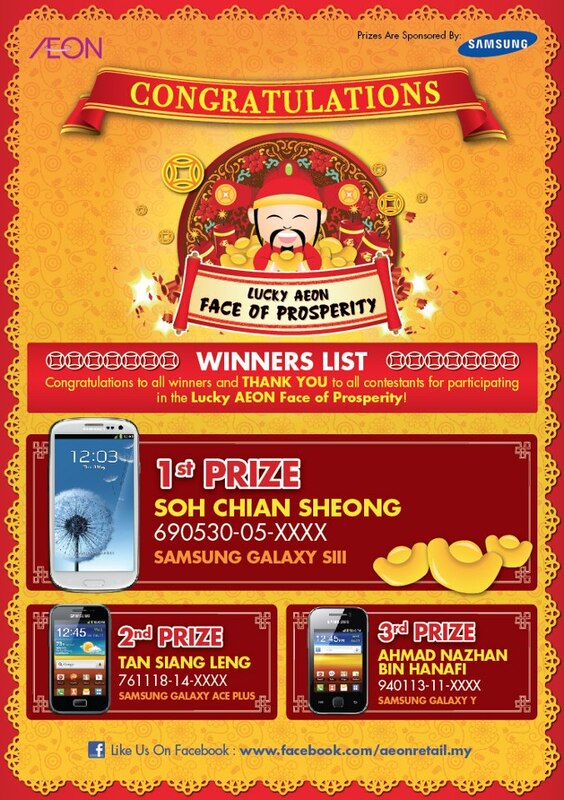 This is the winner list of "Lucky AEON Face of Prosperity Facebook" Contest. Congratulations to Soh Chian Sheong for winning the 1st Prize - Samsung Galaxy S3! 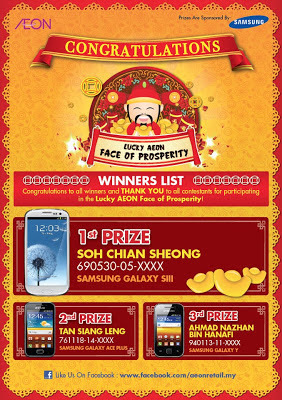 Click here to view the detail of "Lucky AEON Face of Prosperity Facebook" Contest.